Fake News has established itself as an industry that plagues the internet and news media, and has transitioned from a mere limited social nuisance to a broader threat to social harmony and peaceful political transitions. 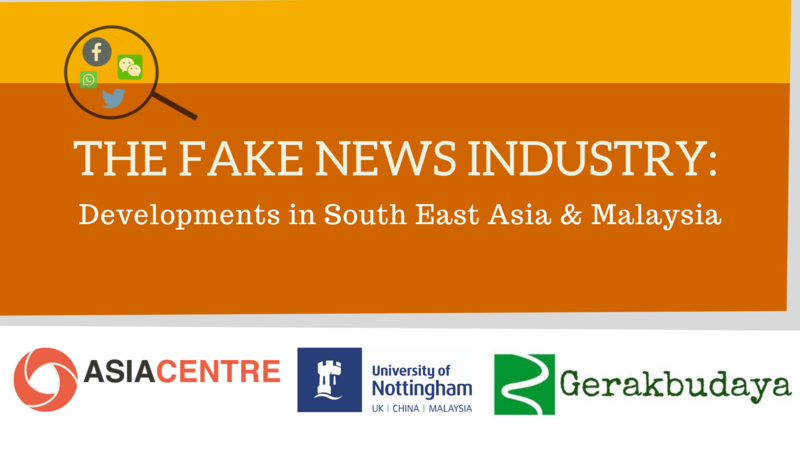 This round table will discuss efforts to combat fake news, disinformation and misinformation by media, government and technology companies in Southeast Asia and Malaysia and its impact on Freedom of Expression during and after elections. Dr Sonia Randhawa, Director, Centre for Independent Journalism.